International fado superstar Mariza recalls fado’s welcome presence throughout her childhood. “My parents’ taverna was behind that hill, in a tiny street near the castle. As a child I would sneak to the top of the stairs and listen to the fadistas singing the old tunes. I never wanted to go to bed. Fado is the kind of music that grabs your emotions,” (Evening Standard). Growing up in the Mouraria neighbourhood of Lisbon, Mariza began singing at age 5 – though she favoured modern music for years since “old-fashioned” fado music had fallen out of style. Like the original fadists – and the genre itself – Mariza began her career singing in local bars and tavernas. Encouraged by her father to pursue career in fado, she recorded her first album out of pocket and caught her big break when she was asked to sing at the televised memorial celebration for Amália Rodrigues. Mariza possesses a rich, soulful voice perfect for the intense emotional layers of fado – a musical tradition that came into being 200 years ago, originally sung by sailors in Lisbon tavernas. It held a particular appeal to the working class and more marginalized populations of Portugal. Mariza’s treatment of the genre follows in the footsteps of the great fadistas of the 20th century – but she includes her own twist. Like many of the greats who came before her. Mariza goes by a single name, but she presents herself differently, replacing black dress and shawl with incredible gowns and rocking her iconic bleached hair. Deeply rooted in her musical identity, Mariza is comfortable embracing other musical styles without compromising the core of hr art form. She sings classic Spanish pieces, mornas from Cape Verde, and weaves jazz, folk, and flamenco influences into her interpretations. Mariza has been at the forefront of fado’s resurgence, demonstrating its timelessness and “[putting] aside any prejudices that fado is always melancholic” (Portugal iNews). She brings the music to contemporary audiences with spectacular live performances and a personal connection capable of breaking down cultural, linguistic, and stylistic barriers. "I travel all over the world and I never saw music that has the [same] power of touching people even if it is in a different language. It touches you in your heart and your soul — even if you don't speak Portuguese. That why it is so deep and so magical." Since the beloved Amália Rodrigues, there has been no Portuguese musician more internationally famous than Mariza. A winner of the BBC Radio 3 award for Best European Artist and Songlines’ Best Artist award, Mariza has had six multi-platinum albums. During her impressive international career, she has graced some of the world’s largest stages, from Carnegie Hall and the Sydney Opera House to the Walt Disney Concert Hall with a specially designed set by world-renowned architect Frank Gehry. Now touring with material from her newest album, the self-titled Mariza, she continues to play venues all over the world. Ranked in Songlines magazine’s top ten albums of 2018, Mariza’s latest release is recognized as her most mature. 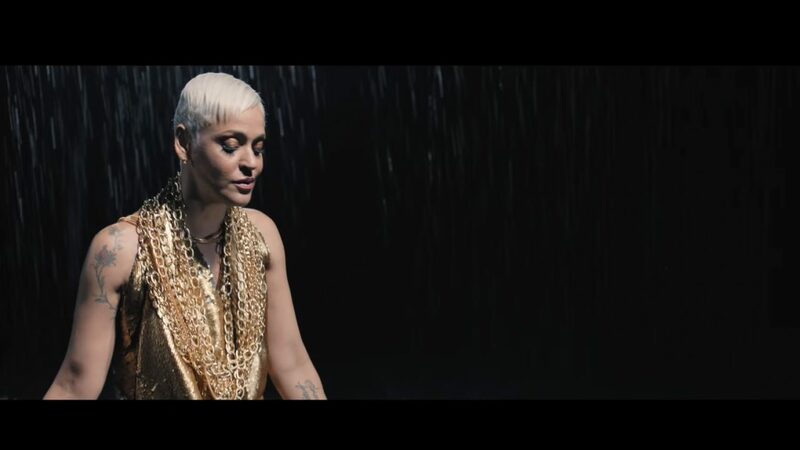 Her seventh album marks the first time Mariza has written her own lyrics, although judging by the intensity the album uncovers, it will likely not be the last. Because she typically does not perform her own original music, Mariza has become a fado scholar with a vast knowledge of the repertoire and a talent for uncovering forgotten gems. Sometimes her research creates unique opportunities for creation, as with the song “Recurso”. Upon discovering unpublished poetry by the important Portuguese poet David Mourão-Ferreira, Mariza appealed to a friend to set the lines to music. The new composition was included on her fourth album Terra. "When we talk about fado, the one thing I don't want is to put it in a kind of museum. It needs to grow, it needs to walk further." Mariza returns to the Chan Centre on Wednesday April 17, 2019 at 8pm.